The Football Business Academy and Benfica have entered into an agreement that will see the Swiss educational institution and Portugal’s biggest football club collaborate on educational and professional development matters. The Football Business Academy is delighted to partner with Sport Lisboa e Benfica, one of Europe’s most iconic football clubs. This partnership comes at a perfect time for both organizations as, on the one hand, The FBA is looking to continue strengthening its reputation in the industry having launched less than a year ago, while, on the other hand, the club has a keen interest to develop and internationalize its human capital and activities off the field. The ambition of The FBA and Benfica has allowed them to identify the significant role each can play in the success of the other, and so has this partnership been customized to meet the specific needs and interests of both organizations. 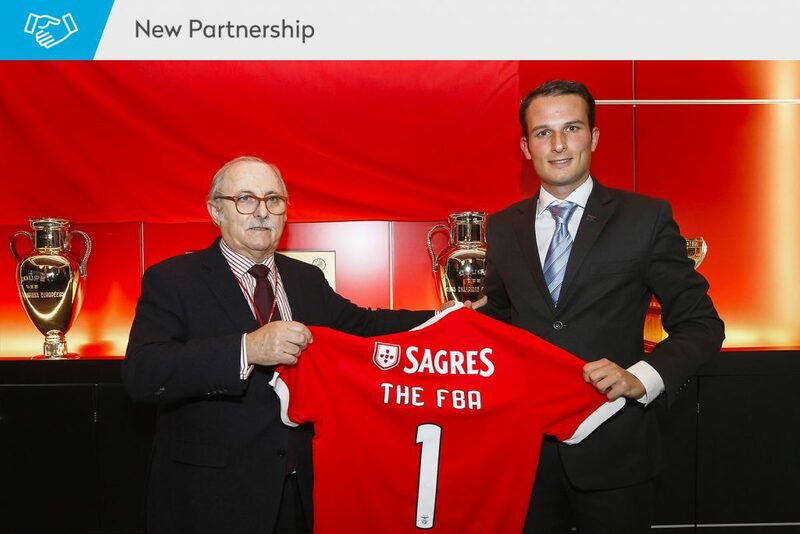 The partnership will see The FBA and Benfica collaborate on topics of strategic interest through dedicated internships as well as Student Business Projects (a consulting-like group project candidates develop and present at the end of the Master program) – enabling The FBA candidates to show their worth in the football industry while serving the club in their best interest. Furthermore, the club’s senior management will welcome all candidates to Lisbon for a special club management workshop and educational tour of its magnificent stadium – the Estádio da Luz – which hosted the UEFA Euro 2004 Final as well as the 2014 UEFA Champions League Final. Also as part of the agreement, The FBA will welcome certain Benfica employees to the online modules of the Master program, enabling them to develop professionally while continuing working for the club. Fast-paced as the football industry is, it is important that front office staff also receive adequate training in order to be equipped with a global perspective of the developments affecting football’s stakeholders. Sport Lisboa e Benfica is Portugal’s most successful professional football club having won 36 national titles, 26 Portuguese Cups and 2 European cups, among others. The club also has an impressive track-record of renowned players who have defended the club crest while the club’s management has been thriving for the past 15 years under the guidance of President Luís Filipe Vieira and CEO Domingos Soares de Oliveira, having developed solid revenue strategies for player transfers, membership fees and sponsorship deals. The Football Business Academy is a Swiss-based high level educational institution which has been created to professionalize the management of the football industry and facilitate the insertion of qualified professionals and future leaders in the game. Its flagship programme, a Professional Master in Football Business, has been co-developed with football industry experts from around the world around one foremost objective: to provide candidates with all the necessary tools and an optimal learning environment in order to succeed in this passionate and dynamic industry.